BTS’ upcoming album “Love Yourself Seung Her” will feature a collaboration with American DJ and producer duo the Chainsmokers. The track “Best of Me,” is an electronic dance music track featuring the Chainsmokers’ expressive harmonies. 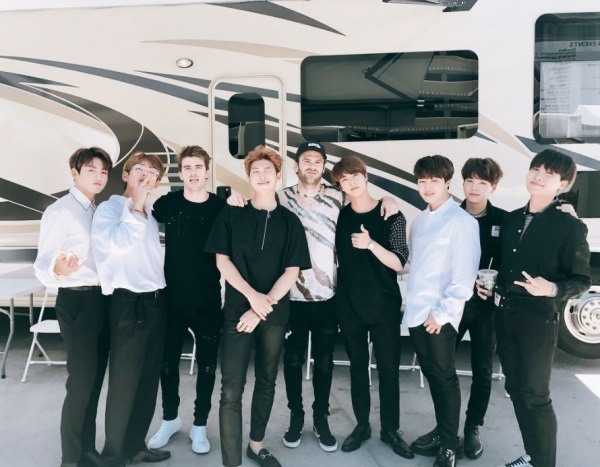 Rap Monster, Suga and J-Hope of BTS and Andrew Taggart of The Chainsmokers collaborated on the track. The two artists met in May when BTS attended the Billboard Music Awards where the K-pop juggernaut grabbed the award in the top social artist category. Before the awards ceremony, the duo proposed a meeting and invited the K-pop group to its rehearsal. “Love these dudes! See you guys this summer,” The Chainsmokers wrote sharing their group photos on Twitter. “Love Yourself Seung Her” is set for release on Sept. 18.